People usually have their idyllic European vacations planned around the cities they see and hear about most – London, Paris, Rome, Berlin, Madrid. As interesting and beautiful as those places might be, a lot of people have the same idea to visit them. At certain times of the year, so many tourists descend on areas of Western Europe that any semblance of local authenticity is thrown out the window. For a new and satisfying European experience, perhaps it’s best to look elsewhere. Perhaps, another place is just as beautiful, exciting, and interesting. Perhaps, that place is Ukraine. 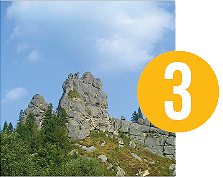 With a territory larger than that of California, Ukraine’s sheer size and its millennia of history have enough to keep any tourist busy. 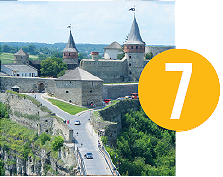 From its coffee shops and castles, mountains and beaches, museums and markets, churches and nightclubs, Ukraine’s world-class attractions are truly a hidden gem of Europe. Now is the time to visit Ukraine. Last-minute flights to its major cities cost far less than those to Western Europe, and the recent economic recession there makes U.S. Dollars go a long way. 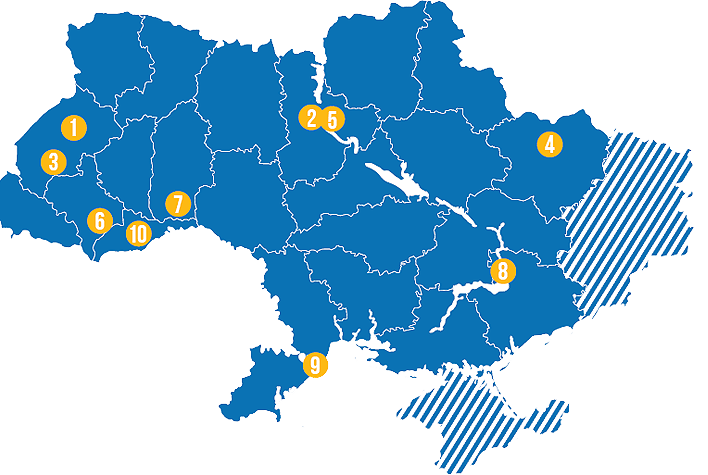 Ukraine’s updated infrastructure from 2012’s Euro Cup provides easy access to the whole country, with modern hotels on every stop along your way. Despite a conflict engulfing a small region in Ukraine’s east, many of Ukraine’s best sites are more than half a thousand miles away from any danger. 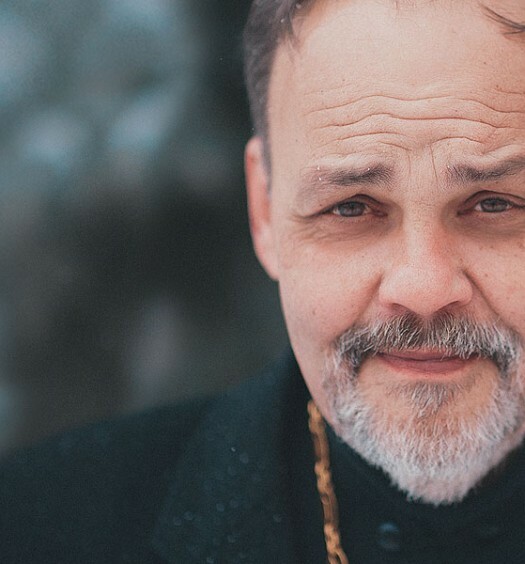 As the saying goes, “life goes on,” and many international tourists continue visiting Ukraine. Being greeted by Ukrainians’ trademark hospitality makes it easy to forget the negative headlines. 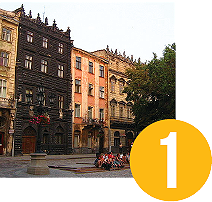 A truly European square, known for its quality coffee, is littered with chocolate shops, art galleries, and museums. It’s steps away from the city’s famous opera house, where you can catch a Met-quality show for the same price as a trip to your local movie theater. 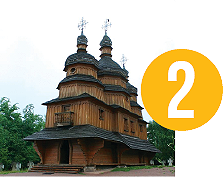 A sprawling outdoor museum of Ukraine’s Cossack heritage is home to authentic Renaissance churches, fortifications, and weaponry. Enjoy regular, realistic military reenactments. The site of Ukraine’s largest medieval castle, built to protect the Western border of Kyivan Rus’, it’s now a nature preserve with massive cliffs to hike through and natural spring water to drink from. 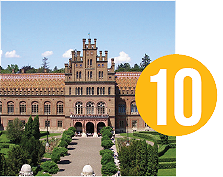 Dubbed “Ukraine’s Disney World,” it’s as much of a botanical garden as it is an amusement park. 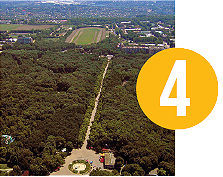 At more than 320 acres, you’ll have to choose between seeing rare trees and flowers or the rest of the city from its massive Ferris wheel. Connecting Kyiv’s old city to its harbor, St. Andrew’s Descent no longer sells fish and salt, opting instead to sell quality art and clothing to passers by. 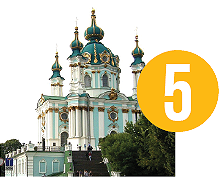 The view from St. Andrew’s Cathedral or the park atop the “old wooden steps” is arguably the best of Ukraine’s capital. 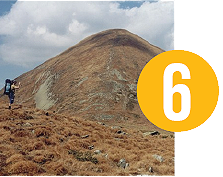 The tallest peak in the Carpathian Mountains, reaching its summit is a two-hour climb, which is done by thousands of Ukrainians to celebrate independence every August 24th. Nearby is Bukovel, one of the largest ski resorts in Europe, rivaling Vail in both amenities and size. Though the castle has changed political affiliations many times in its history, every occupant has left its mark. 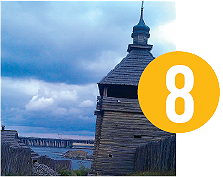 One of Ukraine’s “seven wonders” and a UNESCO World Heritage Site, all of Europe’s history can be told in its walls. A historical site that dates to the Neolithic era, Khortytsia is where the steppes meet the Dnipro river. Originally a trading post between Persians and Ukraine’s Scythian ancestors, it later became a major stronghold for Cossacks. Today, it’s a national park and historic site. 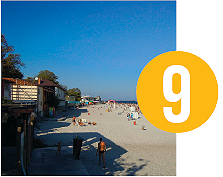 It’s easy to forget how this beach had been the muse of artists and writers for centuries when you’re taking in the sun under the Black Sea’s palm trees. On the crossroads between the Ottamans, Romanian, Hungarians, and Ukrainians, Chernivtsi has developed into a unique cultural hub. This is most evident in the city’s architecture, which draws on Austrian, Moorish, and East-Asian motifs.